June 2nd is National Donut Day, and we are a nation who loves those sweet, round treats. 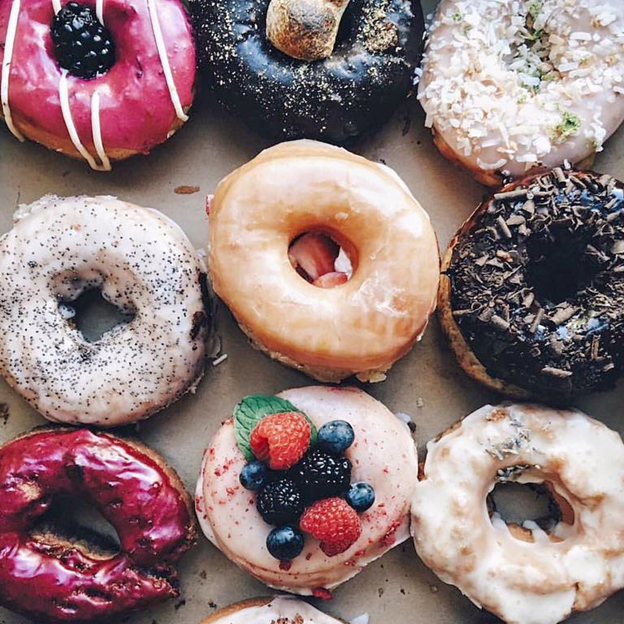 The rise of the artisan donut is taking the country by storm, and we wanted to share some of our favorites. Trust us, these destinations are worth a road trip. 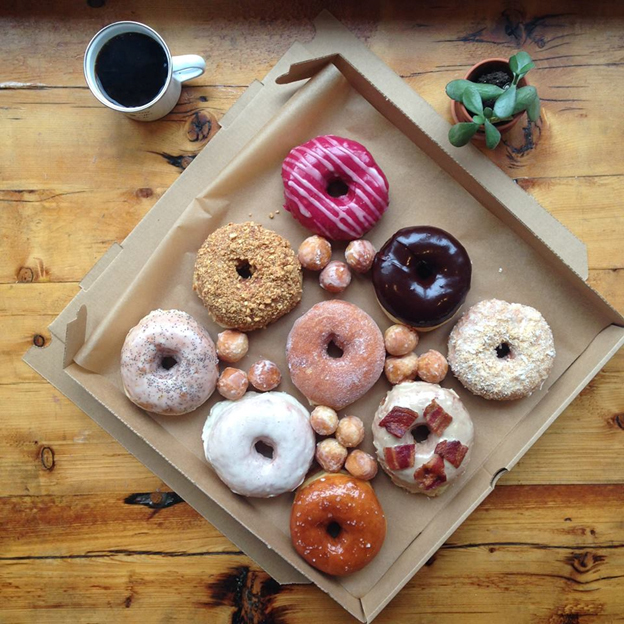 One of the pioneers of the artisan donut is this Portland, Oregon staple. 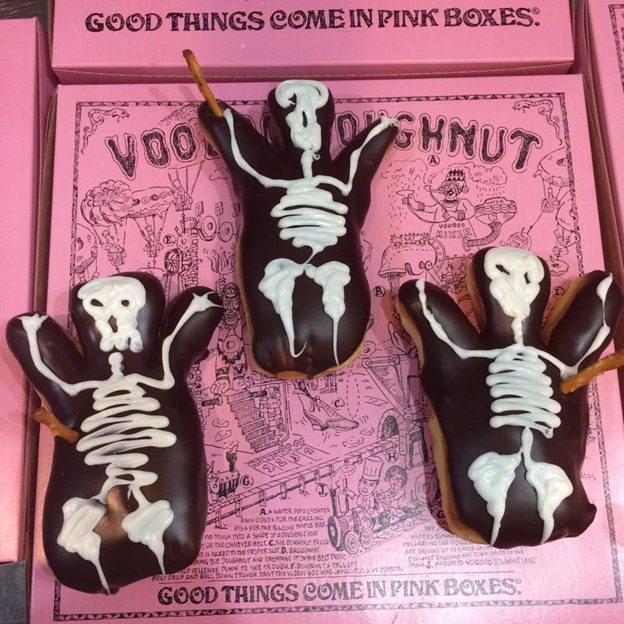 As kooky as they are delicious, Voodoo Donut’s signature sweets are all too tempting to resist. Need proof? 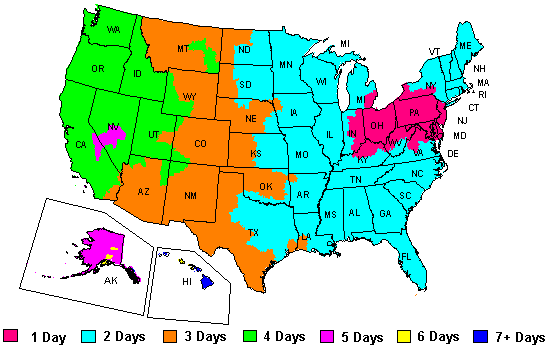 Just take consider their expansion from Portland to Eugene, Oregon, to Denver and Austin. 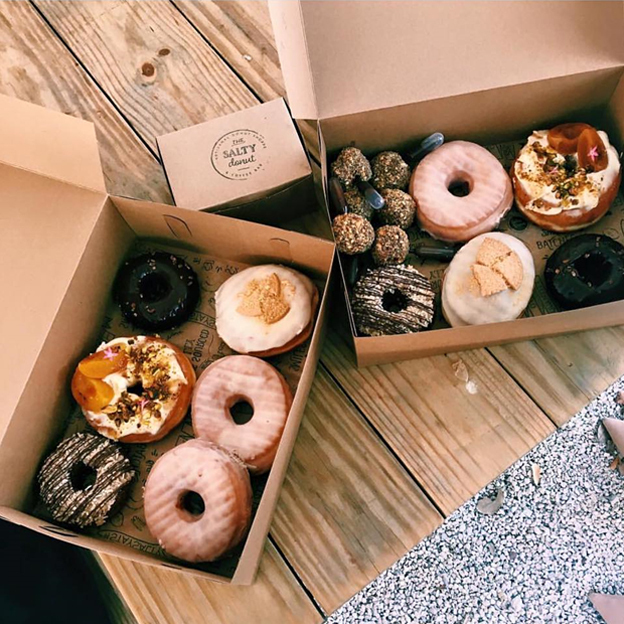 It didn’t take long for Miami tourists and locals alike to take note of the weekend-only donut popup shop. Some say it’s because of the permanent fixture flavors like Maple Bacon or Brown Butter and Salt. Others will tell you that the weekly rotation of specialty flavors is what keeps the masses coming back. 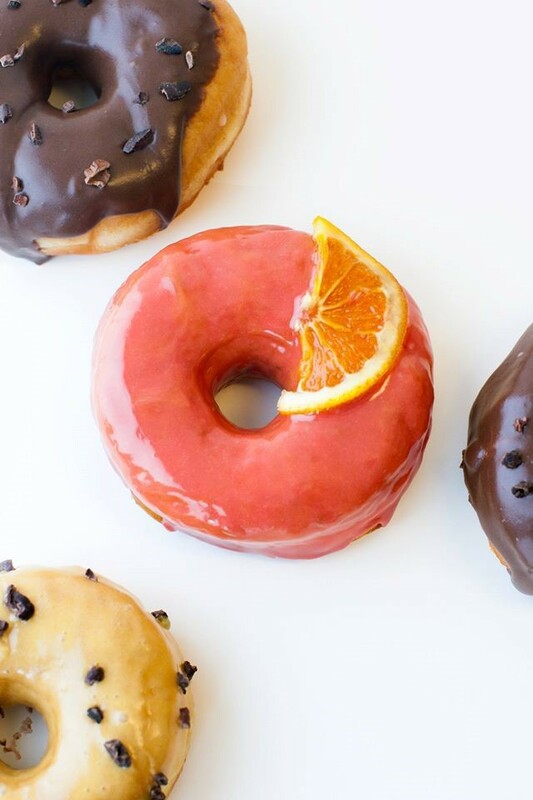 All we know is that you better get there early, because these desirable donuts sell out fast. 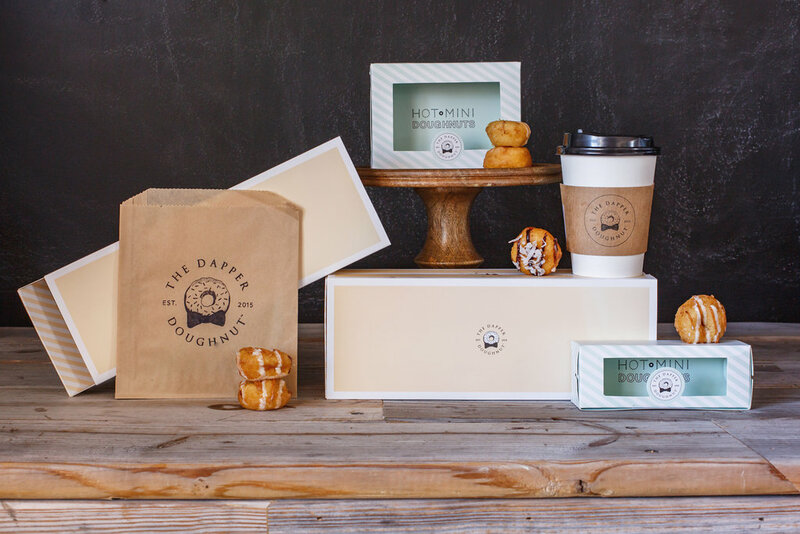 Our friends over at the Dapper Doughnut have locations throughout the US, including Cincinnati and Las Vegas, with upcoming locations set for Dallas, Houston, St. Louis, Detroit, and more. They specialize in mini donuts that are hot and made to order. Full disclosure: they are a customer of ours and we helped them get their iconic logo on their packaging. Does that make us biased? No, it just makes us loyal! Dedicated to creating unique recipes and inspired by vintage style, this Minneapolis shop needs to be on your radar. Be sure to check out tempting options like the Bombshell, which is filled with Mexican chocolate and topped with cayenne pecans. 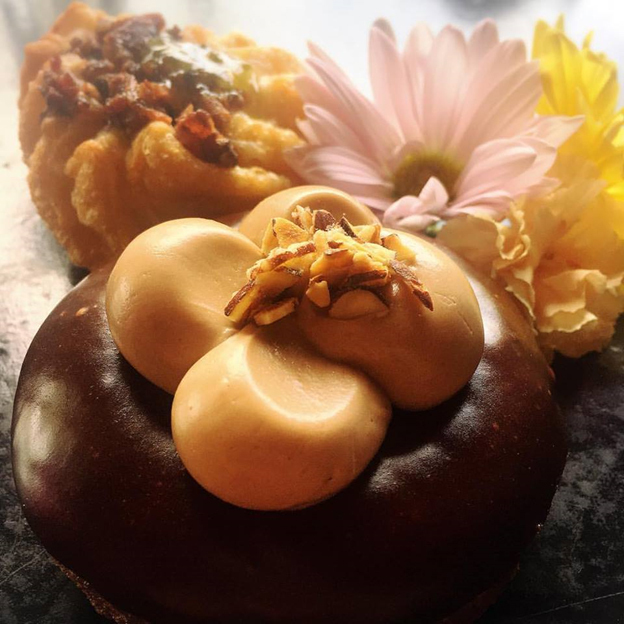 The ladies at Glam Doll also serve up crullers, fritters, and vegan selections. The focus at this New York City donut shop is on top-notch ingredients and careful craftsmanship. These are donuts that are lovingly created, and lovingly consumed, too. And for those who like to watch the magic happen, you can view the doughnuts being made while you wait. A stroll through the Boston Public Market isn’t complete without stopping for a Union Square donut or two. The original shop is located in Union Square, of course, but they also set up shop in several popular farmers markets. Seasonal flavors abound, but that doesn’t mean you should sleep on standards like the famous brown butter hazelnut crunch. It’s hard to pin down the most appealing thing about this LA-based donut shop. Is it the witty flavor names? Or is it the brilliant combination of ingredients? Perhaps it’s the fact that you can build your own donut. Yes, truly customizable confections right at your fingertips. Welcome to donut heaven. Not only do we adore donuts, we know donuts and we understand how to package them. If your bakery or donut shop is in need of donut boxes, bakery tissue, or grease resistant bags for solo sweets, we got you covered. Thinking about taking business to the next level by with custom packaging? We can help with that, too. Give us a call at 888-321-2248 for assistance.